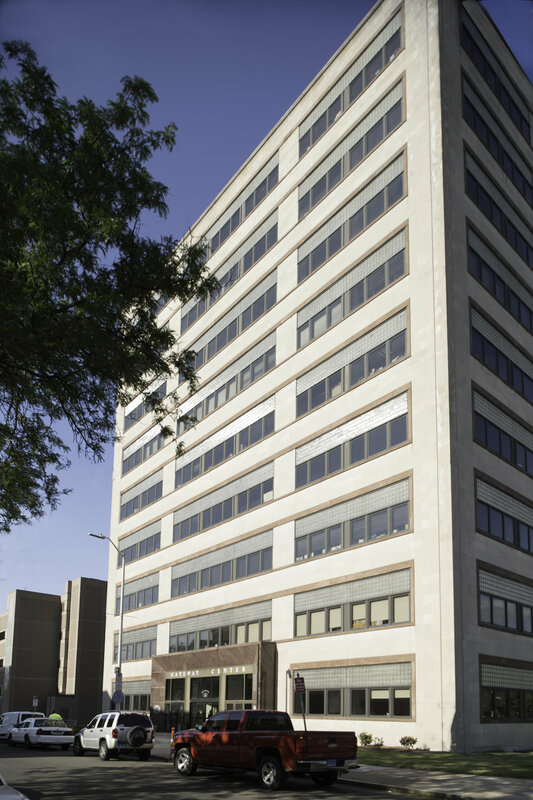 A nine story 126,000 SQ FT office building located at 54 Meadow St, in New haven, CT is located across from the train station and provides easy access to both 91 and 95 interstate connectors. This property provides many options for commuters by car, or rail via Metro North or Amtrak. 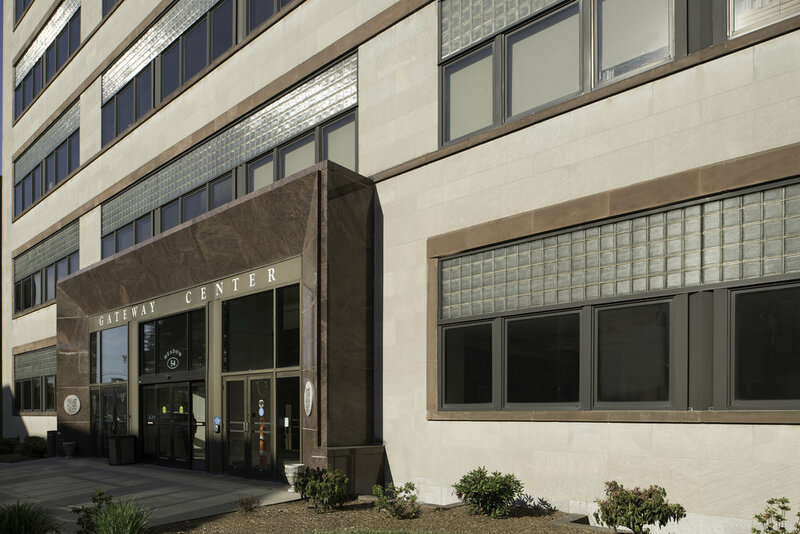 This beautiful building in the heart of New Haven is constructed of pre-cast stone, poured concrete and large glass windows. The interior common area is comprised of decorative hard surfaces, terrazzo floors and custom building options. Gateway Center provides amazing panoramic views of the harbor and downtown. The onsite five story parking garage provides ample parking for tenant use and open to the public for commuter parking. It offers 24 hour surveillance, and 24 hour parking attendant service.